A Night out with DoF Sponsors. Planning what to do this weekend? BPSF has a few ideas! Ya’ll remember what a great time we had at DoF 2015, right? Well, it couldn’t have all been possible without the awesome businesses that donated to our cause. So when you going out this weekend, after calling all your friends on you Cricket Wireless phone, why not hit up The Root Cellar for Happy Hour? This elegant and affordable cafe has everything from soup to nuts right in the heart of downtown San Marcos. Then, head over to Sunset Bowling for a few frames! You can book a party or pay for you lane and shoes individually. Either way, the price is right and the lanes are open until midnight. Still up? 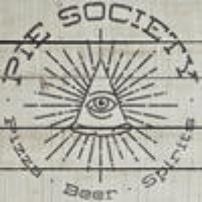 Good news, Pie Society’s social parlor is open late on weekends! Grab yourself a night cap and toast to our fabulous sponsors!